If you love chocolate, but can't eat it because of allergies, then I've got a product that will make you jump for joy! This Passionately Pure PASCHA Organic Dark Chocolate bar is 70% cacao, vegan, non-GMO, nut-free, peanut-free, dairy-free, soy-free, egg-free, wheat-free and gluten-free. No more excuses! Don't like chocolate? Pssh. Then this is a wonderful gift for someone special who will truly enjoy it. Did I mention how amazingly delicious this chocolate tastes? Dark chocolate is one of my favorite chocolates because its sweetness is totally different from milk chocolate and white chocolate. It is the perfect compliment to wine for a delectable late night snack. This huge PASCHA dark chocolate bar is so pure and rich that I can't eat more than a couple little squares at a time (which my waistline appreciates). Visit http://paschachocolate.com/ to see their entire line of delicious chocolate bars. Don't miss the recipe section on their website! You can also follow them on Facebook and Twitter to be first to hear about new products and special promotions. Gorton's has done it again! They've created some great new Artisan Fillets for real solutions for a fast, simple, and delicious meal. There are four new flavors - Roasted Garlic and Italian Herb, Lemon and Cracked Peppercorn, Southwest Tortilla, and Southern Style. These delicious fillets are all made with wild-caught Alaska Pollock, plus bold ingredients like chilies, peppercorns, and crushed tortilla chips for an extra pop of flavor. 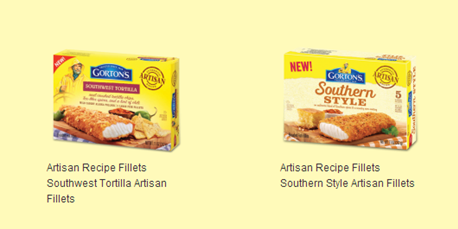 My family LOVES Gorton's seafood products and we could hardly wait to try the new Artisan Fillets. One of my favorite ways to eat Gorton's Southern Style Artisan Fillets is in Fish Tacos. It's so easy! While my fillets are baking in the oven, I shred some lettuce and dice some tomatoes. When the fillets are done, I warm up some tortillas, add shredded cheese and a spoonful of sour cream. Then I add the lettuce, tomato, and a spoonful of salsa for a delicious, filling, healthy meal! Dinner is ready in less than 20 minutes with Gorton's dinner solutions, and everyone is satisfied and happy. I feel good about serving Gorton's Artisan Fillets because seafood contains natural omega-3 fatty acids, lean protein, and critical vitamins and minerals that can aid brain development, promote heart health, help fight obesity, and improve overall health. 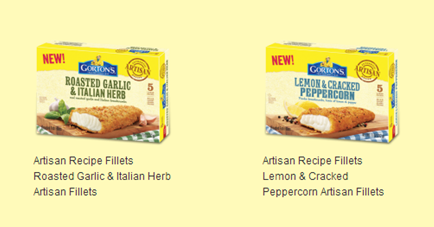 Visit www.gortons.com for more information about these new products and all their delicious seafood options for your family, plus coupons and recipes. Be sure to follow them on Facebook and enter to win the Real Solutions Sweepstakes by April 21 for the grand prize of $2500. Follow them on Twitter too, then enter below to win a Gorton's cutting board and 2 coupons for free Gorton's seafood so you can try the new Artisan Fillets! Win a Gorton's Cutting Board and 2 Coupons for free Gorton's Frozen Seafood! To enter, just fill in the Rafflecopter form below. You must be at least 18 years old and reside in the USA. Only the first entry is mandatory; bonus entries increase your chance to win. 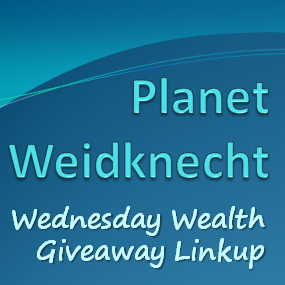 Giveaway ends at midnight on 3/31/2014. Good luck! Link 'em up and enter away! Food For Life began baking bread 50 years ago in an attempt to craft truly wholesome baked goods that specifically cater to helping health aware people who understand the needs of their bodies live life to the fullest. They now offer over 60 products including bread, tortillas, pasta, cereal, and English muffins. Food For Life does not use anything artificial in their products...no preservatives, no shortenings, no refined sugars. Their product line is kosher and GMO-free. Most of their ingredients are certified organic and a number of their products are gluten-free. They use use sprouted grains in the majority of their products and their diet-specific foods are certified by third parties. Aside of all that goodness, Food For Life food is delicious! I received their Ezekiel 4:9 Sprouted Whole Grain Bread, made with six grains and legumes. It has a rich, nutty taste and is very filling. There is almost as much protein in this bread as there is in eggs or milk. This bread is amazing toasted with a touch of butter! I also received some Food For Life Black Rice Gluten-Free Tortillas. Black rice contains natural anthocyanin antioxidants, just like those found in blueberries, blackberries, dark cherries and acai. Black rice is also loaded with natural fiber. These black rice tortillas are delicious and huge! They are thinner than a flour tortilla and a bit more delicate. While trying to make some tortilla rollups, I found that warming them before rolling or folding them makes them more pliable. Their large size makes them perfect for quesadillas! Visit www.foodforlife.com to check out all their products and to use their store locator to find a location near you that offers Food For Life. Be sure to follow them on Facebook and Twitter too! Happy healthy eating! Since November of last year, I've volunteered at the Hutto Community Food Pantry nearly every Saturday morning. I've worked in the back, sorting donations, shelving donations by type and date, weighing donations, and packing up the weekly food boxes for clients. I've worked in the front, assisting clients with their free choice items, restocking free choice items, carrying items to cars, and mastering the computer programs that track client activity. Over these past months, I've learned more than just the operations of the food pantry. Lesson One: Hunger affects everyone. Clients range in age from newborn to old age. We see mothers, fathers, children, babies, grandparents, the unemployed, the underemployed, part time workers, the retired, military families, single parents, students, and many more. Hunger can affect a person's ability to function at work, at home, and at school. Lesson Two: None of the clients want to be there. It's hard to ask for help. It's harder to admit you need help. It's worse to go hungry and have to swallow your pride to actually show up to walk in the door. Many years ago, when I was a single parent, I once ate popcorn for two weeks so my two kids could have the real food. I've stood in many a line in the past to get a bag to feed my children. It's not easy. Lesson Three: Never judge who walks through the door. Her designer purse may be the only one she owns, purchased at the second-hand store or a garage sale. His new shoes may have been donated by his church. The children's nice winter coats may have come from standing in line, shivering in the cold wind, for six hours at the community center. They may be seeking help because medical bills or unexpected job loss wiped out their budget. Whatever the reason, no one is turned away. Lesson Four: None of this happens without the hands of many volunteers. There is no single person responsible for the operations of the food pantry. Dozens of volunteers give their time, their hands, their feet, and their compassion. Behind the scenes, there are board meetings, food pickups, food drives, phone calls, and lots of prayers. Although this food pantry is open only on Saturday mornings from 10-12, the work continues all week long in one way or another. Lesson Five: Everyone can help their local food pantry. Those who live comfortably can donate food or time. It takes just a few minutes to gather a bag of canned or boxed foods from your stash and drop them off at the food pantry, whether it's once a month or once a week. Many of our clients even lend a hand by bringing us their recyclable bags, reusable bags, boxes, and even foods their family won't eat, so we can pass it on to another. Lesson Six: Hunger happens year-round. It's customary for people to give around Thanksgiving and Christmas, but food pantries need food every week of every year. It's wonderful to give away a turkey with all the trimmings, but when school lets out for the summer, families on the school lunch assistance program suddenly have to provide lunch to their kids. It doesn't matter what day it is if you're hungry. Lesson Seven: Children can take part in volunteering. Allowing children to take part in helping feed families is a wonderful experience for them. Each week, we have teenagers helping carry boxes and bags to cars. We even have younger children who come along with their parents to lend a hand. Children are wonderful ambassadors for food drives too. The local schools and scout troops often bring in food items they've collected. Children who have a heart for volunteering will continue it into adulthood. Lesson Eight: Local area businesses are instrumental in keeping the pantry stocked. From the Capital Area Food Bank and HEB Grocers to the local doughnut shops, coffee shops and pizza places, support comes in many forms. Sometimes it's a huge donation and sometimes it's not so much, but every single food item and every single dollar that is donated is welcome and appreciated. Lesson Nine: Volunteering feels wonderful. Sometimes people shy away from volunteering because they just don't know how to get involved. I just showed up at the food pantry one Saturday morning and told them I was there to help. Some days when I get home, I collapse on the couch for a nap, but it's a good feeling knowing I'm tired because I worked hard to help someone. If every person in every town volunteered their time somewhere just a couple hours a week, or even a month, can you imagine the wonderful changes we could make in our world? Hutto Community Food Pantry serves those in the Hutto Independent School District, on Saturday mornings from 10-12, located at Hutto Lutheran Church, 206 East Live Oak Street, Hutto TX 78634. To find a local food pantry in your area, do an internet search, search your local phone book, or contact a local church. To become an expert in an activity, it's estimated that you need to spend at least 10,000 hours dedicated solely to that one activity. Does that sound like a long time? If you've seen the film Groundhog Day, in which Bill Murray endlessly repeats the same day, you'll know he becomes an expert in French poetry, ice sculpting and playing the piano. Someone has worked out that to have spent the necessary pursuing these disciplines to become an expert, Murray spent almost 34 years experiencing the same day over and over again. Naturally, as time is money, to become proficient in something takes both, and a lot of both. If you have the time, but not the money, then your options are limited. You're not going to be beating Tiger Woods any day soon, for example. 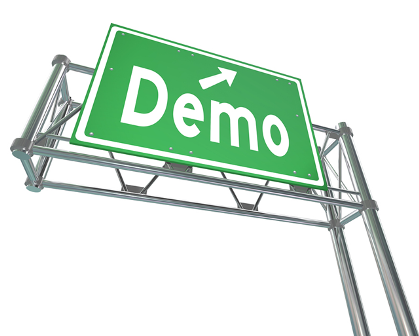 But there are ways you can enhance your learning without depleting your checking account. One of the greatest ways you can train your brain is to learn a different language. Unfortunately, it can be tough to learn a whole new vocabulary, especially if your thirtieth birthday is but a distant memory. There are plenty of free online courses available if you fancy learning Spanish, or Portuguese, or even Japanese. It's best to begin with a free course to see if language-learning is for you before punching in your credit card numbers for a paid course. There's a real buzz about online poker at the moment. It's a great game to play, as long as you play sensibly and within your limits. The problem with poker is if you sit down at a money table you'll be up against people who have been playing for years, so if you don't know what you're doing, then you're going to get stung. Full Tilt has a great app which teaches you the basics of the game for free. You can also play on their 'play money' tables to see if you've the makings of a poker fiend before you try the real money online casino. One of the great things to do in life is to learn to play an instrument. Most of us experience learning to play an instrument at school but it tends to get dropped one more academic studies start to take preference. Why not blow the dust off that guitar, clarinet or tuba and see how much you can recall? If you're re-bitten by the musical bug there are plenty of sites where you can take free, basic lessons before you move on to the more advanced (and costly) stuff. Just don't forget to warn your neighbors about the terrible din they'll be hearing for a few weeks. Or maybe even months! Fashion jewelry is so much fun to wear and it's a great way to add style to your wardrobe without spending a lot of money. Majestical Jewelry offers hundreds of statement pieces, from fun and whimsical to classic and feminine. I received a trendy geometrical cut-out necklace with triangular earrings to match and although they aren't my usual style, as soon as I put them on I was so very happy with the look! My new jewelry set arrived in a pretty gift box lined with cotton batting, and a soft drawstring jewelry bag, perfect for gift giving or for storing between wearings. Majestical Jewelry offers prices at 20-80% less than competitors and free shipping for orders over $49.99. They also offer free and easy returns and exchanges on every order. I could spend hours browsing their website! They have gorgeous pearls, glittering gemstones, and classy sterling silver jewelry. Choose from earrings, necklaces, bracelets, charms, and more, all priced at wholesale prices! Visit www.majestical.com to see the entire line of gorgeous fashion jewelry and be sure to follow them on Facebook, Twitter, Pinterest and Instagram. Their collections are perfect for Mother's Day, Easter, birthdays, or any special occasion. What new majestical look will help YOU make a statement? Kohl's is one of my favorite stores because not only do they offer amazing prices and products, they also have some of the most fabulous sales in retail. I often find myself wandering through my local Kohl's store and Kohls.com is bookmarked on my laptop. I was thrilled to review the Bobby Flay Chip'n'Dip set because the Bobby Flay products are excellent quality! The Chip'n'Dip set includes a metal stand, an 11" glass bowl for chips, and a 6" glass bowl for chip dip. The metal stand has three feet for perfect balance and the stand comes apart in two pieces for easy storage (although I'm leaving mine assembled on display because it's so pretty). The glass bowls are smooth on the inside and textured with a bubble pattern on the outside. I think the glass design gives it a nostalgic feel. The glass color is clear with a slight tint that almost seems to change color based on surroundings and contents of the bowl. It's a beautiful piece of serveware and one I'm proud to put on my table. The Bobby Flay Chip'n'Dip Set is very versatile. We've used it for nacho chips and salsa, potato chips and onion dip, taquitos and guacamole, and even strawberries and chocolate sauce. Check out our own Queso Recipe HERE. You could display an assortment of colored Easter eggs in the large bowl and Easter candies in the small bowl. Visit www.kohls.com to purchase your Chip'n'Dip Bowl and many other fabulous Bobby Flay products that will spice up your kitchen for springtime and all year long. Follow Kohl's on Facebook, Twitter and Pinterest to keep up to date on their sales and new products, then follow chef Bobby Flay on Facebook, Twitter, and Pinterest too!